I’ve looked at this blog, and see posts from fellow bloggers, and it shows me just how far behind I’ve gotten. It’s been a whirlwind of a few years, with little time for anything beyond the absolutely necessary. With what little time was available, making choices about exactly what to do left me leaving things by the wayside. Not good. Luckily, I have lots of encouraging friends and family who won’t really drop me, so now it’s time for a re-set and catch-up. 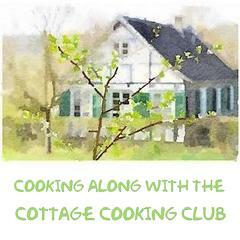 For anyone who doesn’t know, this blog started quite a number of years ago to participate in an on-line cooking group, and we’ve morphed over the years to cook through additional ones – because the community is awesome, and it’s a great connection (plus, obviously, we all like food and cooking!!). It’s also a great inspiration to try new ingredients and recipes that you might not otherwise. These salmon burgers from Everyday Dorie looked and sounded really good, and a nice light option. That said, full disclosure, I don’t really like salmon (unless I just caught it, and grilled it – there are specifics…), and I’m not wild about the French method of putting lots of things into them. However, I’d be down for cheese and chiles in a beef burger, maybe even blue cheese. But when I’ve made other burgers like this, just not my thing. That said! I am the lone person with these kinds of rules surrounding salmon (and even beef or other burgers), and these had all of the right elements going for them. The mixture is of the chopped fresh salmon, plain yogurt (I subbed sour cream because I didn’t have any, and I was only making 1/3 recipe), lemon zest, lemon juice, capers (!) 2 kinds of mustard and some chopped scallions, plus seasonings. This gets mixed together and chilled for about 2 hours (I started late as usual, so put the mixture in the freezer for a bit). Once chilled, the patties are shaped and ready to cook. I decided to veer from the suggestion and make some flat breads for the “buns” instead. I’d jumped back into River Cottage Veg to make asparagus pizza and had frozen some of the dough for later. I made the flat breads so that they could fold over the salmon burgers. I also made the pickled onions as suggested, but with sweet onions instead of the red (which are, of course, prettier and more traditional). There’s a place in Phoenix, originally a hot dog food truck but now also a couple of brick and mortar spots that uses naan instead of buns. So much better – chewy, not as much bread, and don’t quite fall apart into mush like so many rolls do. So! Once the burgers have chilled, they get fried/griddled at a fairly high temperature to get the outside crispy, and the inside at least warm. They are still fairly loose, even after chilling so you need to be careful about turning them, but they held up well and got a nice, golden crust on them. These were served simply as mentioned, the flatbread with a smear of mayo on the bottom, and then the avocado and pickled onions to top them off. As I noted, these were a hit. Maybe not as much for me, but that’s ok. They were good, and I’d even make them again. I did really like the chewy flat bread as a contrast to the relatively soft texture of the burger and avocado, and the crunch of the pickled onions. Now for catching up: where did I even leave off? Oh, Everyday Dorie’s Sweet Chili Chicken Thighs. I expected these to be really great. What could go wrong? Chicken thighs. Sweet chili sauce. Some rice, some scallions to garnish. This is a relatively simple recipe, and worked as advertised for a weeknight dinner. Onions, garlic and ginger are sautéed in a bit of oil and seasoned with some salt as the base of the sauce. White wine is used to deglaze the pan, and mostly allowed to evaporate. This sauce base is then set aside in a bowl. Plated, or plattered. The rice it’s served with adds a great counterpart to the flavorful sauce. Here I used cauliflower rice, which is a great option as well. This sauce and method can also be used for a pork tenderloin, which would also be delicious, as the flavors are all complimentary. Now, here’s the thing. I’m a HUGE fan of Asian flavors of all kinds, and particularly Thai and Southeast Asian areas. So I was unprepared for the mustard. Good, but I am not 100% certain. That said – what a perfect method for preparation (as I write this, I’m thinking this will return to my kitchen shortly), but maybe with a few tweaks, depending on how the mood strikes. I’m thinking a bit of fish sauce. Or Oyster sauce, or maybe hoisin. And of course opting for a bit of coconut milk would be great as well – but probably not the dijon. Wasabi? or even some mustard powder? All of that said – this is a great recipe, and great method – and I love that Dorie is encouraging us to try what for many might be unusual ingredients, while using a fairly classic technique. Flavorful, beautiful, fast, easy enough for a weeknight? That’s a great recipe in my book. I already had some delicious homemade chicken stock in the freezer (caldo de pollo to be exact), so the main part of this recipe was to caramelize the onions. We were about to get a storm when I was making it, and this seemed like a good time to explore alternative methods for making them. I’m probably one of the few for whom caramelized onions are not a huge favorite – but there are lots of recipes that are absolutely amazing with them, so I thought – I’ll try an alternative method, and make a bunch! I decided to make them in a cast iron pot in the oven. The concept was that they were supposed to be relatively fast, with even heat, and fool-proof. Some of that was true. Not fast. These took what seemed like forever. But – you can see, they did eventually caramelize. Fortunately, I had something fun to watch while I was waiting for the onions! We ended up with about 15-18″ of snow – and the poor javalina were lost. They really can’t see well, and with the snow – those noses didn’t work too well. But they found their way, and were safe. So, the rest of the soup recipe was fairly straightforward. a little white wine, a bit of flour to thicken the soup, garlic, pepper – and of course, the cheesy croutons on top. I did them separately, as suggested by others. This was yummy and comforting, and we enjoyed this recipe. And finally, the Potato Tourte, from Everyday Dorie. I was way behind on making this, but all of the other bloggers participating in Cook the Book Fridays loved it – so I had to give it a try. I didn’t need a dish for 6-12 people, however, so I cut the recipe in half. And then I didn’t want to waste a bunch of puff pastry – so I changed up the top lid of the tourte. We are reminded to prep everything first, so as to assemble the dish easily. It can be constructed ahead, placed in the refrigerator, then baked later in the day – or even frozen – though not sure about the potatoes after being frozen. An egg glaze is carefully added to the top pastry, without getting on the sides of it – so it keeps its ability to puff up. This is super simple to put together, with the pastry bottom, the sliced potatoes, green onions and herbs. I was being stingy with the pastry – but one of the main components of this dish is that once it’s been partially baked, heavy cream is added either through holes in the top crust, or alternatively, carefully removing it. I decided that my pastry strips would look nice, and allow me to add the cream more uniformly. I could use a baster to add the cream – then finish baking the tourte. The dish can be served hot (it should sit for 30 minutes), warm or even room temperature. And it can be eaten leftover, but as with most pastries, best on the day it’s been baked. I liked this, and it was fun to make. Not the biggest hit at home, but sometimes you just don’t know (how can you not like potatoes, pastry, cream and herbs?). It would be a fun dish for a dinner party – maybe with a simple, but impressive roast? The Cook the Book Fridays group has made all of these recipes and many more. You can find out what others thought of them, and get some inspiration by checking out the link. 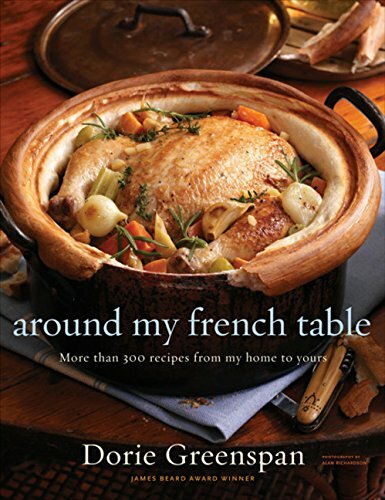 You can also join us in our quest to finish My Paris Kitchen, and cook through Everyday Dorie. I have been cooking other things as well – as I look at some of my photos, it must be asparagus season! Posted on April 12, 2019 by dulceshomePosted in Appetizer, Baking, Cook the Book Fridays, Cottage Cooking Club, French Fridays with Dorie, main dish, sandwiches, Uncategorized, vegetablesTagged avocado, fish, flat bread, French, pickles, salmon. Candy, all the recipes turned out well, you have really been busy. I enjoyed everyone of those recipes as well. That flat bread looks so inviting with the burger. I can relate to your comment about being so behind with the group, but wanting to stay connected with the terrific members. I’ve been in the same boat for a while! I love your catch up – everything you made looks wonderful! Delicious idea to serve the salmon patties with flatbreads! Your catching up dishes looks delicious! Dang, this is one heck of a catch-up post, Candy! Good to see you here again! What a great idea with the flatbreads for the salmon burgers–I’m going to keep that in mind! Also that French onion soup was perfect for a snowy day, I bet. We all loved that soup, including the kiddo. Finally, I agree that the Potato Tourte wasn’t my favorite. Wow! You did quite a catch-up! I love the flat bread idea. I served mine on lettuce but bet the flat bread was great. I like the way you latticed the crust on your torte. While we liked this quite a bit the lattice helps cut some carbs! Welcome back! Wow! You have been busy!! Great catch up post…all of your finished products looked fantastic! You did with the salmon, love the flatbread you made. Fabulous catch-up dishes you made there! Wow, you’ve been cookin’. All looks good especially the Bánh mì. What I always like best about your Posts are your photos which always provide a play-by-play of your making the recipe. I am trying to do more of that. (copy cat) Good for you for hanging in there with us despite your busy (and, somewhat stressful) Life. I have found our group to be very amiable to whatever is going on in our lives. My Life has changed since I first joined FFWD with my being gone from my kitchen for the Winter. I still do the best I can and everyone seems fine with that. Don’t give us up, Candy.